Drivers in different parts of the country will continue to see prices climb, albeit at different rates, say gas pricing experts. A consortium of oil-producing countries has taken more than a million barrels a day off the market — and that’s the least of the problems plaguing American gasoline prices. Across the U.S., regular gas averaged $2.77 a gallon, up 7 cents on the week and 29 cents on the month, according to GasBuddy. Last year, gas prices topped out at $2.98 at the outset of Memorial Day weekend. Skyrocketing prices are particularly pronounced on the West Coast. According to GasBuddy, California already has the highest gas prices in the country at an average of $3.77 per gallon for regular gas, an increase of 49 cents over last month’s average. GasBuddy head of petroleum analysis Patrick DeHaan warned in a Sunday tweet that prices weren’t done going up just yet, predicting that the average price in California will top $4 this week. “It’s nothing short of spectacular on the West Coast. A trifecta of issues is causing gas prices to surge,” DeHaan said. 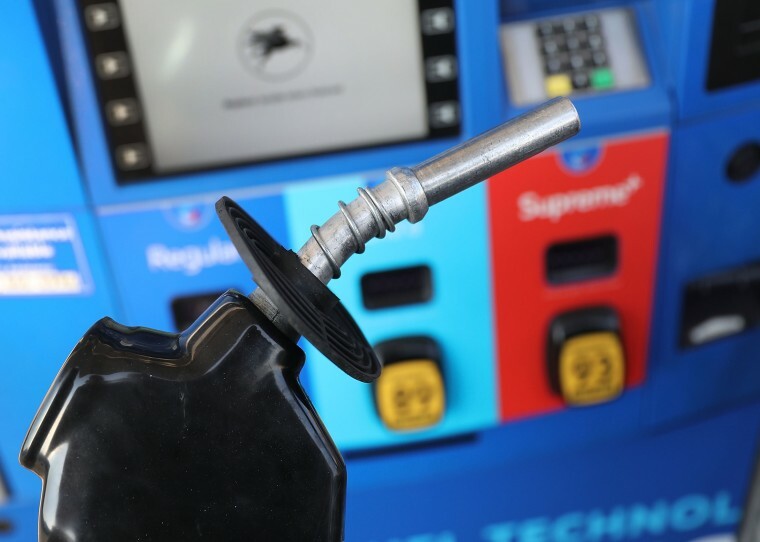 Oil prices are climbing, but that only accounts for about one-quarter of the recently higher gas prices American drivers have been facing, he said. A bigger issue is that this is around the time of year when many oil refineries plan maintenance as they make their annual switch to summer-blend fuels. Another factor driving up gas prices is ethanol, a corn-based fuel refiners are required to mix into summertime gasoline blends. Flooding in key Midwestern ethanol production hubs like Chicago has disrupted the delivery of ethanol and made supplies scarce. The upshot is that drivers in different parts of the country will continue to see prices climbing in the coming weeks, albeit at different rates. “At OPIS, we still think gasoline prices on balance for the driving season are going to be slightly lower than they were last year. The major exception to that is the West Coast,” said Tom Kloza, global head of energy analysis at Oil Price Information Service. “We’ve added 2.4 million barrels a day of refining capacity, but it’s all been added in the Midwest and Gulf Coast,” he said. “This has been the most rapid runup seasonally that we’ve seen since 2012, and it may soon outpace 2012. I think we may see the national average advance another 15 to as much as 30 cents, which would put us slightly above the $3 mark,” DeHaan predicted. “I think they probably get relief in May or June, but you’re going to see a lot of $4 gas in California this week and next week,” Kloza said. Gas prices in other Western states like Washington, Oregon and Nevada also have escalated sharply. Looking beyond the immediate West Coast supply crunch, analysts said they expected geopolitics and the activities of OPEC and non-member allies like Russia (referred to by analysts with the shorthand OPEC+) to have a greater influence on prices. “I think OPEC is over-complying,” Kloza said. “They’re cutting more than they promised,” he said of the cartel’s pledge to reduce output by 1.2 million barrels a day beginning this year. These cuts are exacerbated by conflicts in oil-exporting countries like Venezuela — which faces U.S. sanctions — and Libya. “I don’t think we’ve had this little breathing room between supply and demand balance in several years. OPEC is significantly a driving force in that,” DeHaan said. “The U.S. is in a bind as OPEC+ and speculators are hell-bent on taking prices higher, and that could have repercussions in the U.S.,” Vijayakar said. Although President Donald Trump has excoriated OPEC on Twitter in the past, analysts say the White House holds relatively little sway over the cartel’s activities. The Trump administration has implemented other tactics for influencing prices, such as issuing last-minute waivers to eight countries in advance of the Iran sanctions that went into place last year, blunting the impact those sanctions had on prices. The waivers are on track to expire at the beginning of May, but Vijayakar suggested that climbing oil prices could prompt the U.S. to give some countries — notably, China and India — longer waivers. “In a bid to keep the situation under control, Trump may allow a further extension to these countries,” he said. But analysts say there are more price drivers that are out of U.S. policymakers’ hands. “I think oil is going to continue to be a pressure point behind gas prices this summer,” DeHaan said. “How high we go there is more a function of what we’re seeing globally… All it will take is one geopolitical flare-up that disrupts the flow of oil."